With a blog comes great responsibility so here is already my second post! 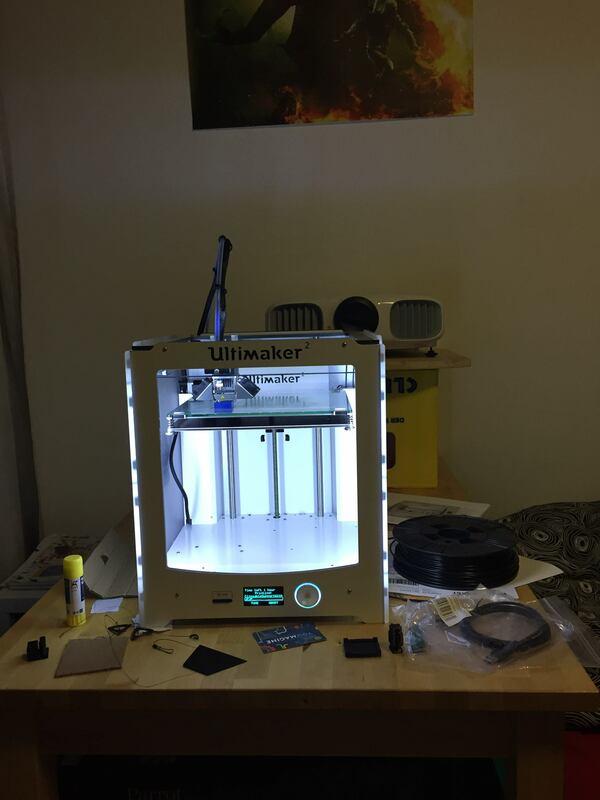 (Good thing @widerwille.com reminded me that I got this new blog now...) About a week ago I ordered the Ultimaker Ultimater 2, a 3D printer which is supposed to have a high precision, support for different material types and a good price. I finally got the shipment notification yesterday with an estimated delivery of today and against all expectations the FedEx guy woke me up this morning! 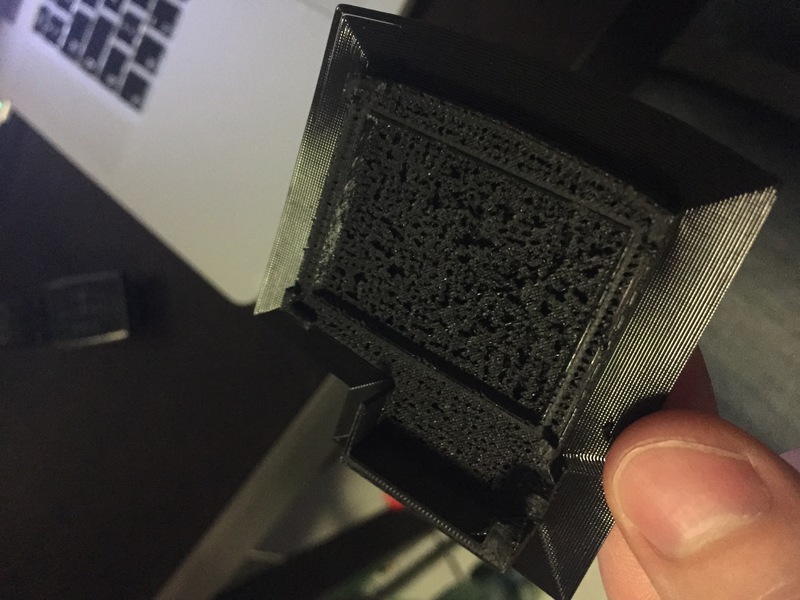 So most of the day I spend on trying to print anything at all which kind of worked after I printed at a much higher temperature because I thought that the nozzle was blocked. Turned out that I used the wrong filament type because the flexible PLA I used has quite different printing properties than the normal one... After changing the filament to the normal stuff everything is now working great. I even got a first selfmade minimalistic pebble stand working and found out that different settings can produce totally different results. My new hobby will be to just watch the printer printing, which is totally mesmerizing.